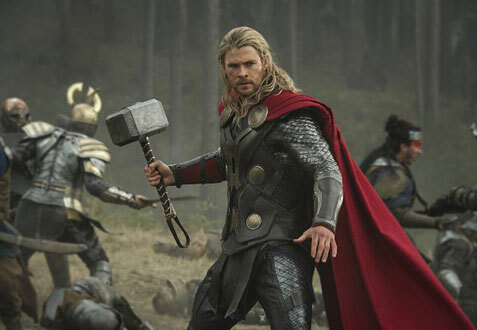 The opening scene in “Thor: The Dark World” is very revealing, but not in the ways that the filmmakers intended. It tells an exposition-laden tale of a battle fought ages ago between Asgardians (Thor’s people) and the dark elves, who planned to use this mystical force called the Aether (pronounced ‘ether’) to distinguish all light. The scene is meant to shed some light on a plot that they must have deemed too difficult to follow, only it’s not. It’s a straightforward revenge story, and the audience would have figured out the rest in time. That they insisted on spoon feeding the audience shows a lack of confidence, and while “Thor: The Dark World” is not as consistent as its predecessor, the film has some truly great moments, including a spectacular climax. To see them acting so desperate is both unbecoming and unnecessary. 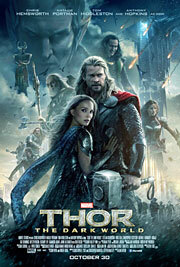 Thor (Chris Hemsworth) and his band of merry marauders spend their days hopping from world to world as a peacekeeping force, while Thor’s stepbrother Loki (Tom Hiddleston) is thrown in jail for the crimes he committed in “The Avengers.” Back on Earth, genius astrophysicist Jane Foster (Natalie Portman) is still trying to get back to living a normal life, when her gear starts picking up some strange readings that lead her to an abandoned warehouse which houses a portal to the location of the Aether, which the Asgardians had hoped would never be found. Jane’s awakening of the Aether awakens Malekith (Christopher Eccelston), the dark elf whose efforts were thwarted in that ages-ago battle, and with the convergence of the nine worlds about to take place, Malekith plans on finishing what he started all those years ago. That’s a mouthful, but it’s really not that complicated. Elf has magic power, elf loses magic power, mortal girl discovers magic power, mortal girl’s god-like boyfriend must recruit his treacherous brother in order to save the universe. Boom, done. So why do they spend so much time explaining the story? It’s a mystery, one made all the more confusing when director Alan Taylor (“Game of Thrones”) stages a devastating annihilation sequence without a word. At least one of the powers that be responsible for this film knew the power of brevity. Had they applied this adage across the board, this would be a completely different, and much better, movie. The two Marvel movies released this year, “Thor: The Dark World” and “Iron Man 3,” both showed signs that the collective pressure of keeping the Marvel flag flying high was taking its toll on the individual series. This makes sense, considering that they have taken the approach that each writer is responsible only for his movie, and that it’s up to the writers of the other series to write their way out of whatever issues their predecessors left for them. To be fair, this is the only way to go, otherwise you’re putting the Marvel brand as a whole ahead of each individual story, and that is never a good idea. The drawback is that after a while, you leave your successors with fewer and fewer options, and we’re seeing the effects of that now.